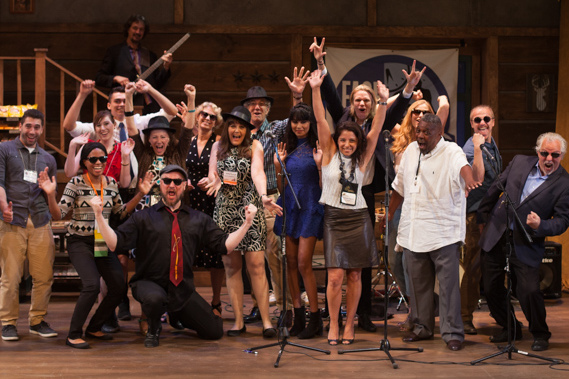 We challenge your teams to write and perform original songs about business challenges and solutions. Genre choices include Rock, Blues, Country, Pop and Rap. Collaborating under challenging time constraints requires many of the competencies expected in the workplace. To succeed, participants must work as a team, innovate, make strategic decisions on the fly and perform under pressure. The program is collaborative, empowering, rewarding and a whole lot of fun. Face The Music’s House Band creates a powerful live soundtrack for your general sessions, adding depth, dimension and energy. 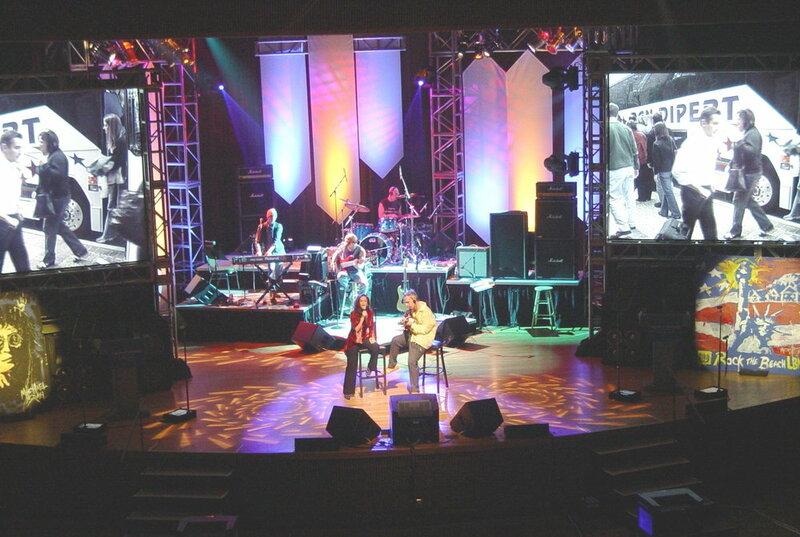 We provide walk-in music, presenter play-ons, video underscores, award beds, custom-written songs and more. Whatever the role, our talented musicians are committed to three essentials: Talent, Preparation and Professionalism. rock star builds on talent that lies deep within your organization. Like “American Idol” or “The Voice,” your budding musicians work with our coaches to prepare for a live performance in front of their colleagues backed by our incredible band. Whether done as a competition or a concert, the performances are always inspiring. For over a decade, with music as his metaphor, Face The Music co-founder Paul Kwiecinski has traveled the world delivering lively, out-of-the-box, results-driven Keynote Presentations covering a wide range of industries. Based on each client’s strategic goals, Paul’s customizable topics include change management, leadership, innovation and creativity. Paul is known for mixing music, business theory and research and audience participation for unique and memorable experience. Your group sits back and appreciates Face The Music’s mix of classic blues, rock, and/or pop songs, and our corporate custom songs. (The audience does not need to write or sing anything). FTM’s play list for the event will be customized to your themes and preferences. We can also write custom songs for the event, and include some interaction with the participants. This is a unique way to launch new products, services, initiatives or rally around a theme. Based on client input, we write, record and deliver a custom song that communicates targeted message to employees, vendors, customers or the press. Depending on your goals, the song can be inspiring, educational, clever, funny or all of the above.